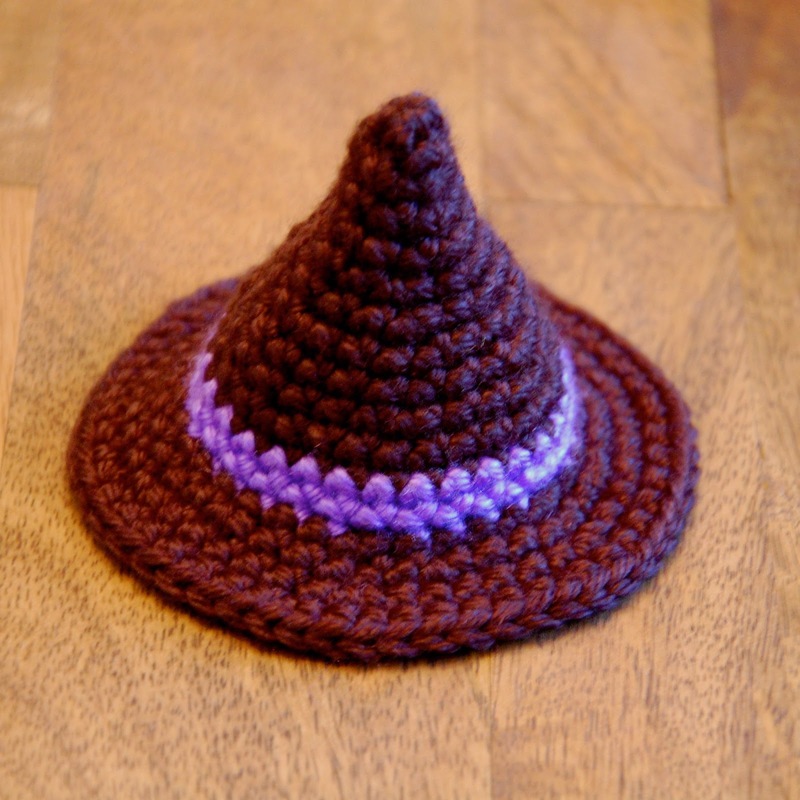 How about a FREE pattern? This is a fun Halloween pattern I wrote for Michaels Stores that is quick to work up. 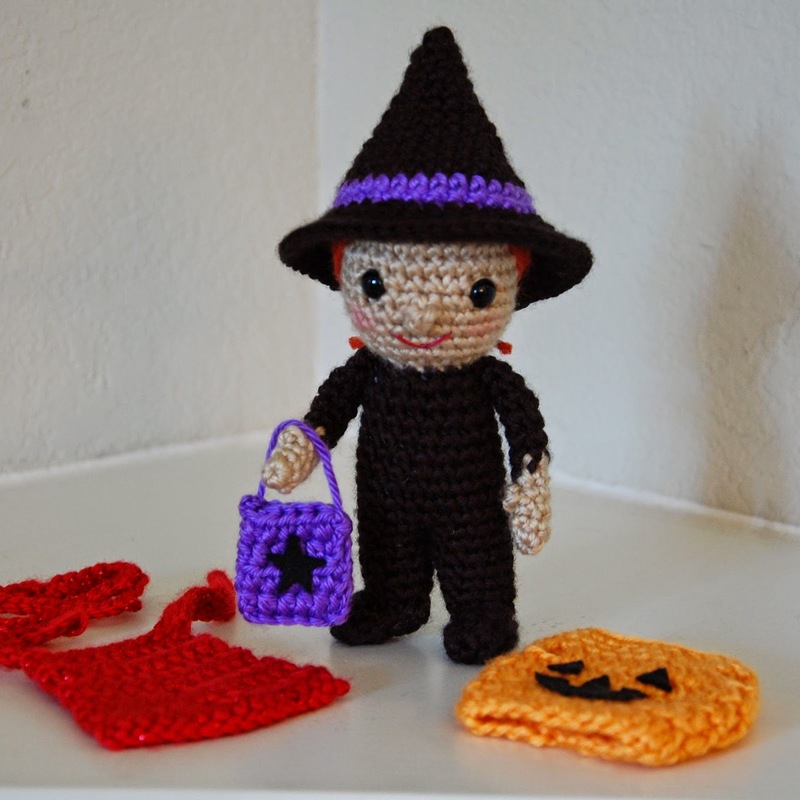 Get started now, and you'll have several done in time for your favorite trick or treaters! Kids love to dress up, especially at Halloween, and one of the hardest decisions they have to make all year is what costume they'll wear for the big night! 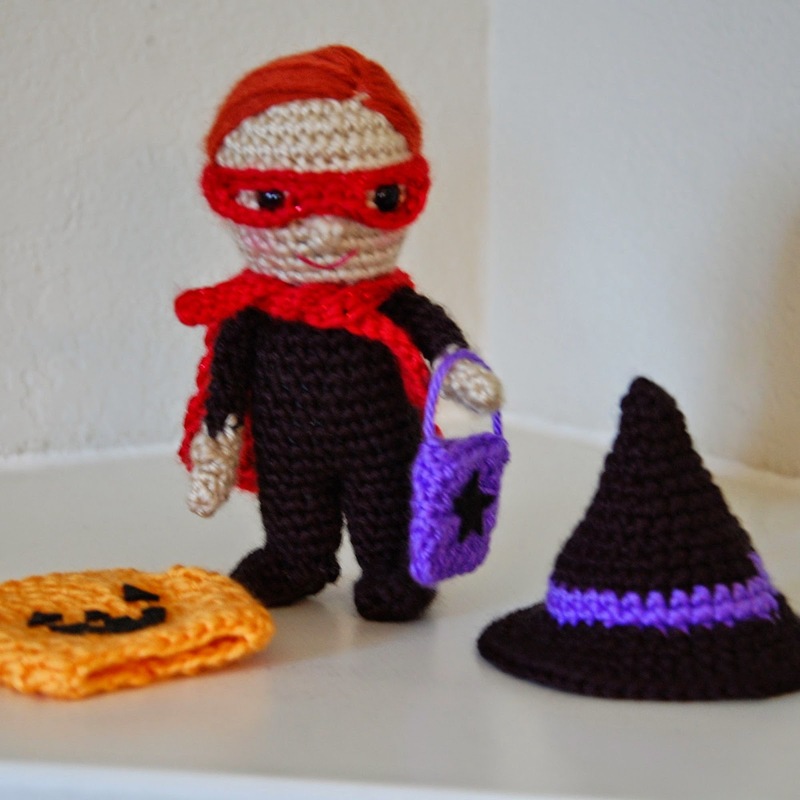 This little amigurumi kid comes with three options: a witch (or wizard), a superhero, or a jack o'lantern. 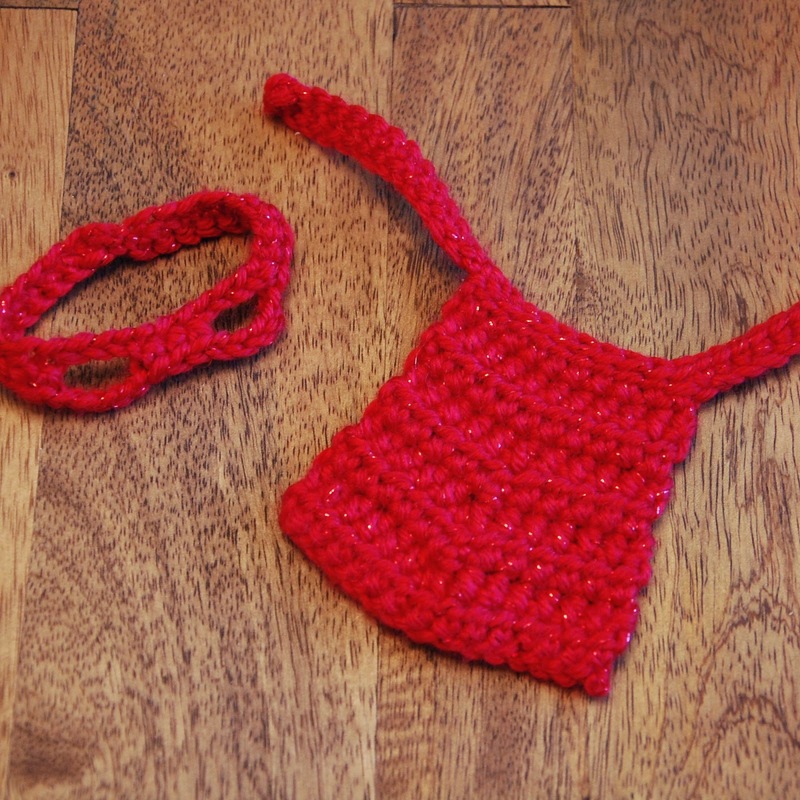 Dress him or her up and put the little treat bag into place for some pretend trick or treating. 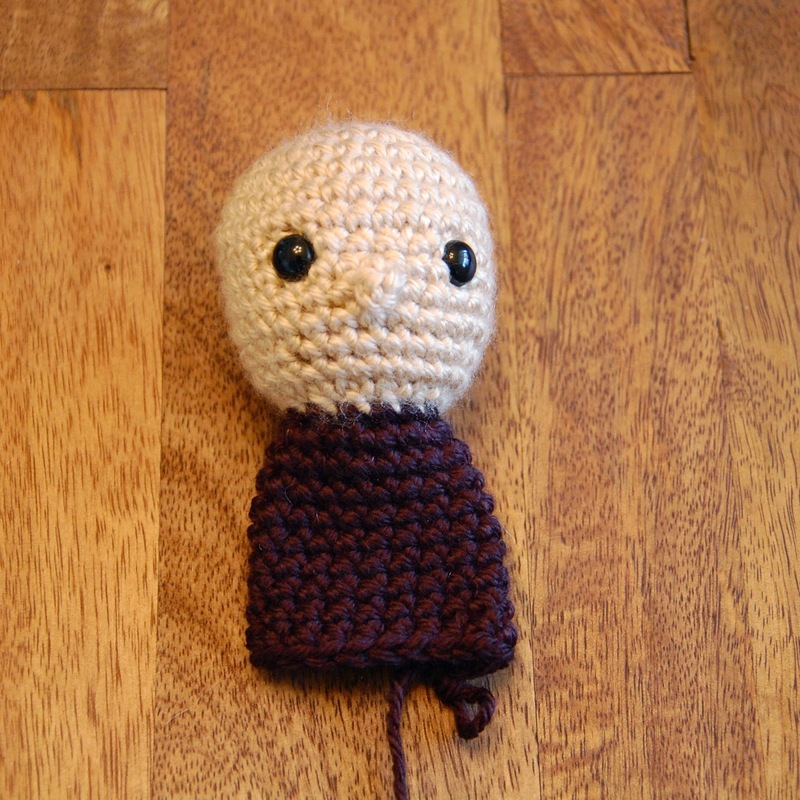 The doll can be customized with different flesh tones and hair color to match the lucky little kid that gets to keep it. 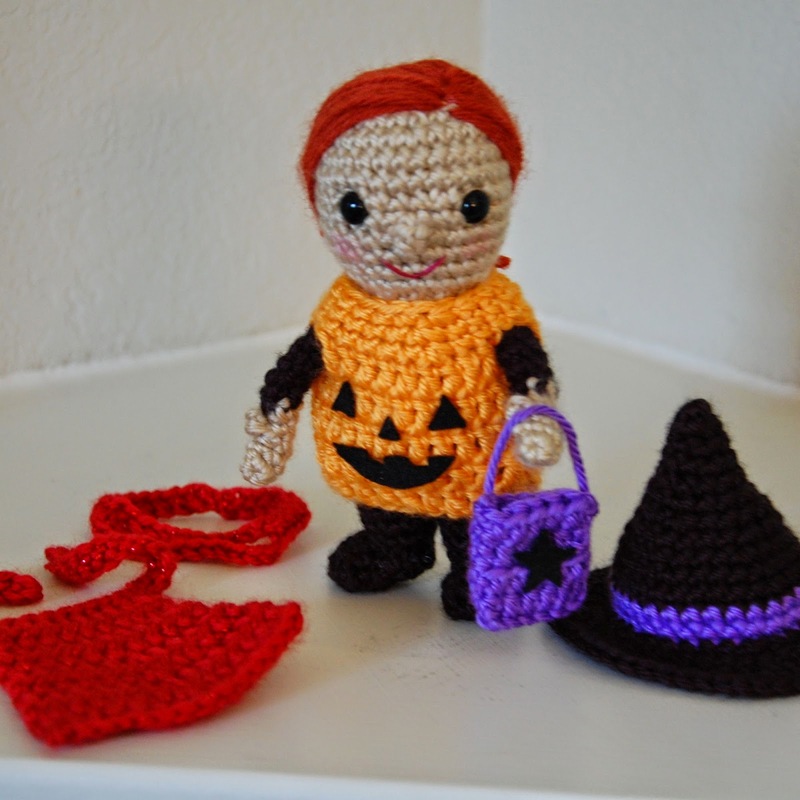 Doll, hat, and pumpkin costume are worked in the round in unjoined spirals. 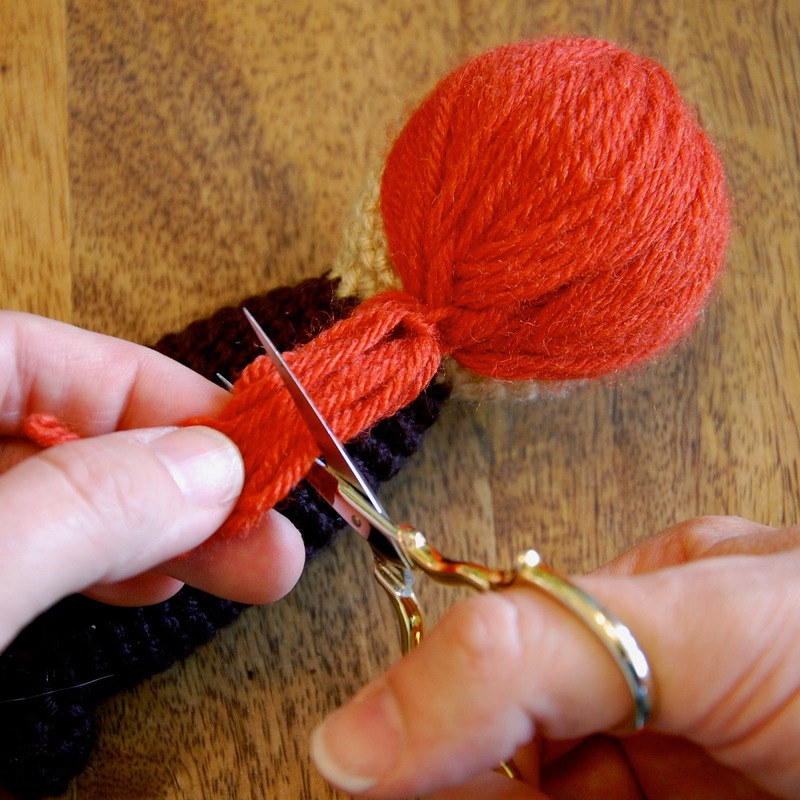 Use a locking stitch marker if necessary to mark the beginning of each round. 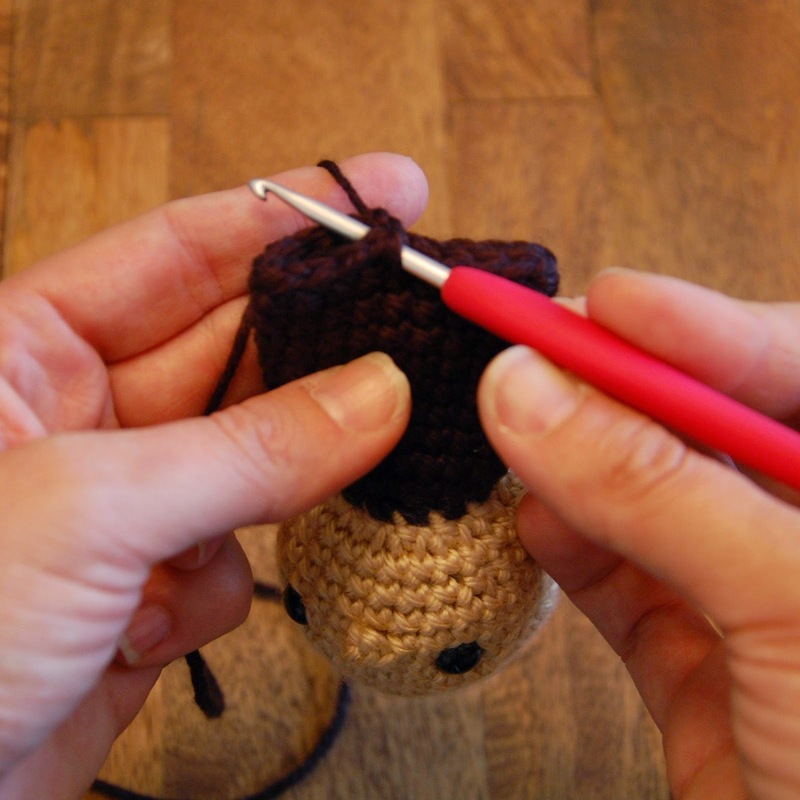 When you complete a round, move the marker to the loop on your hook and continue crocheting. Gauge is not important for this project. 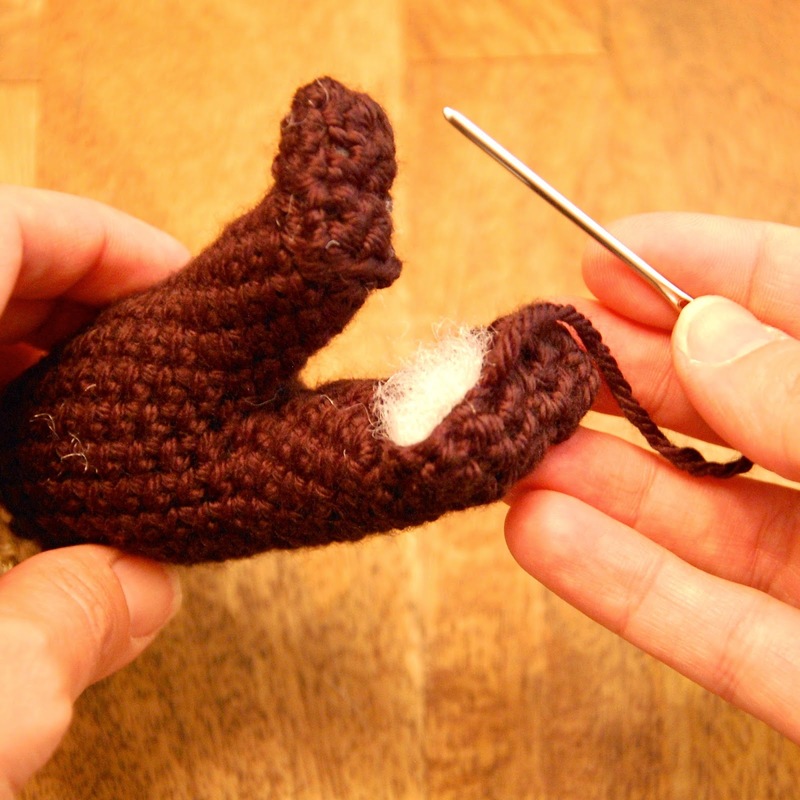 Use recommended hook or hook that enables you to crochet tightly enough to prevent large holes in the fabric. 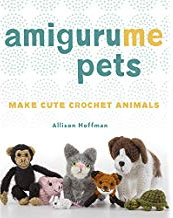 Keep reading for the pattern! Starting at the top of the Head, with yarn A and an E hook, make an adjustable ring, ch 1, sc 6 into ring. Pull tail gently to close ring. Rnds 5-6: Sc into each st.
Rnd 10: Sc into each st.
Change to yarn B at end of Rnd 12. Rnd 13: Sc into each st.
Insert a stitch marker to hold your place. Insert safety eyes as shown, 6 sts apart and one Rnd above nose. Stuff Head firmly. Rnds 15-22: Sc into each st.
Insert a stitch marker. Flatten Body you've crocheted so far. Find the middle point of the body. 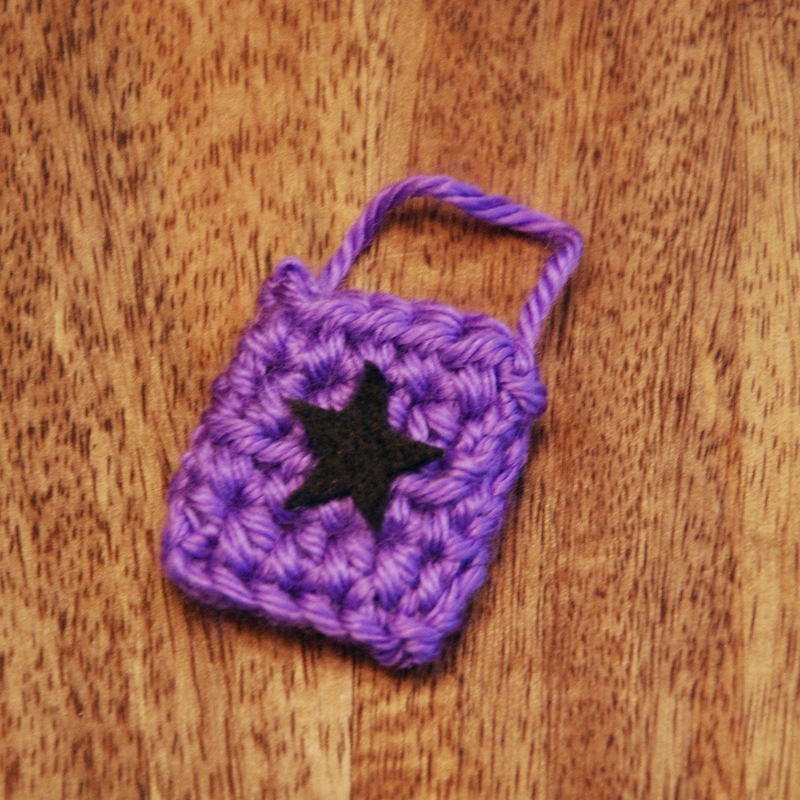 Move the stitch marker to the corresponding stitch and crochet sc until you are at that st. Begin Rnd 23 at this point. Doll should look like photo below at this point. Rnd 23: Sc into next 9 sts, skip next 9. You're forming the separation of the legs. See photo below. Rnd 24: Sc into first st of Rnd 23 and next 8. Rnds 25-28: Sc into each st. 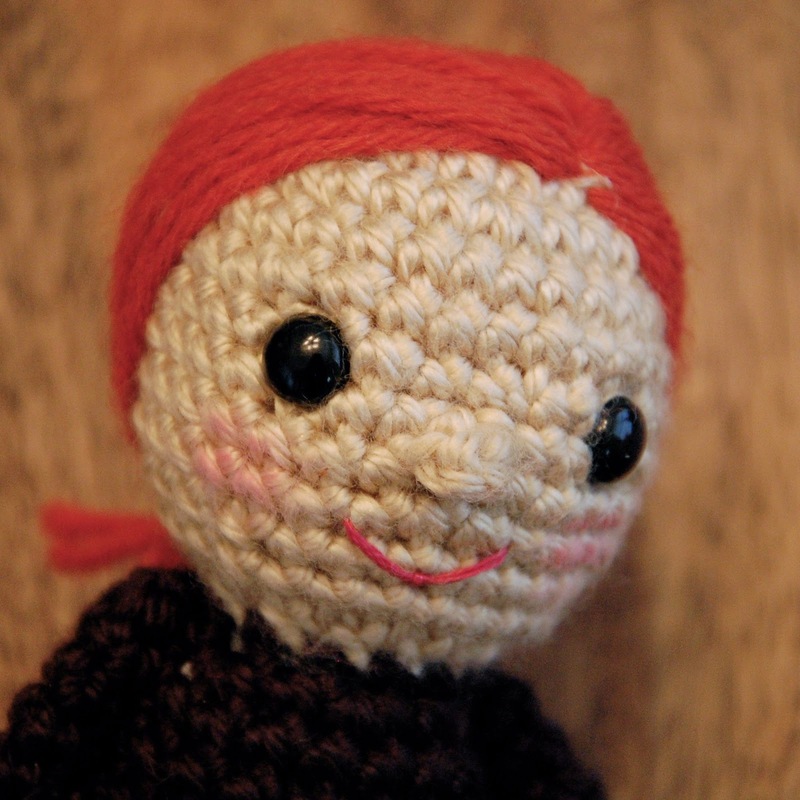 Rows 34-37: Ch 1, turn, sc into each st.
Join yarn at back of doll, at 10th st of Rnd 22. Stuff Body and Legs firmly. Referring to photo above, fold flaps back at the bottom of legs, lining up Row 37 with the back of the leg at Rnd 29 to form feet. Sew along edges of feet all the way around. 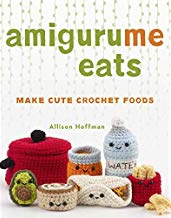 Use an embroidery needle and pink embroidery floss to make a mouth. 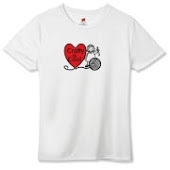 Come up at one side, make a loose straight stitch across, back down on the other side, then come up at the middle of the smile, tacking down the loose straight stitch in a smile shape. Refer to photo above. With yarn A and E hook, make an adjustable ring, ch 1, sc 5 into ring. Pull tail gently to close ring. Change to yarn B at the end of Rnd 4. Rnds 5-16: Sc into each st.
Fasten off and leave a long tail for sewing. It is not necessary to stuff the arms. Sew each Arm to the Body at the neckline. Weave in ends. Thread a yarn needle with a very long strand of yarn C in the hair color of your choice and knot the end. 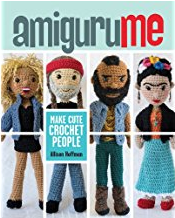 Insert needle into the head in a hole between stitches. 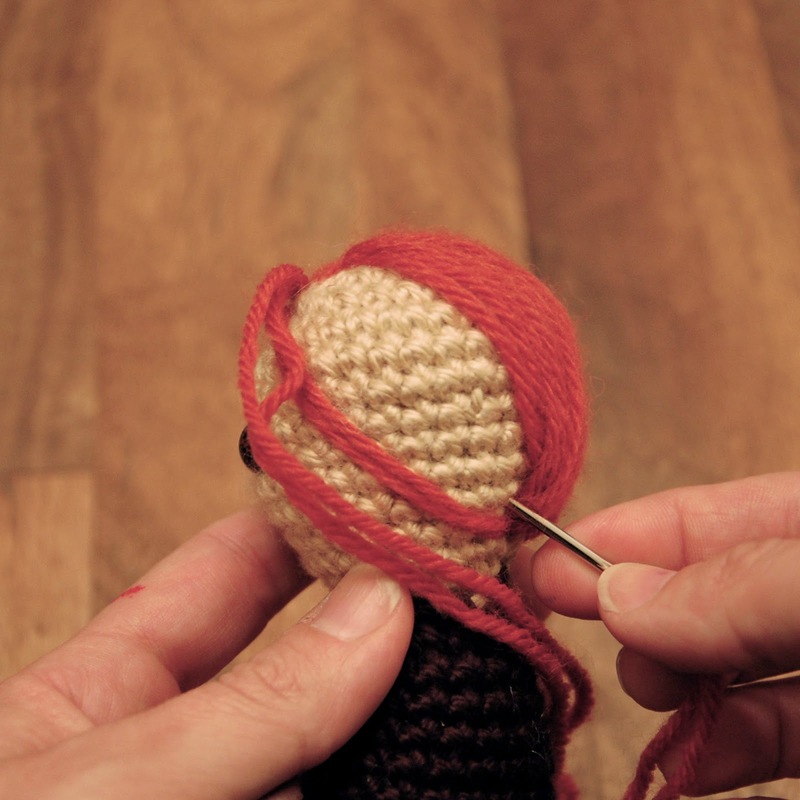 Come up through a stitch (securing the knot inside the head) and make long stitches all along the head, starting at an imaginary part, and completely covering the head. Refer to photo below. Weave in ends. 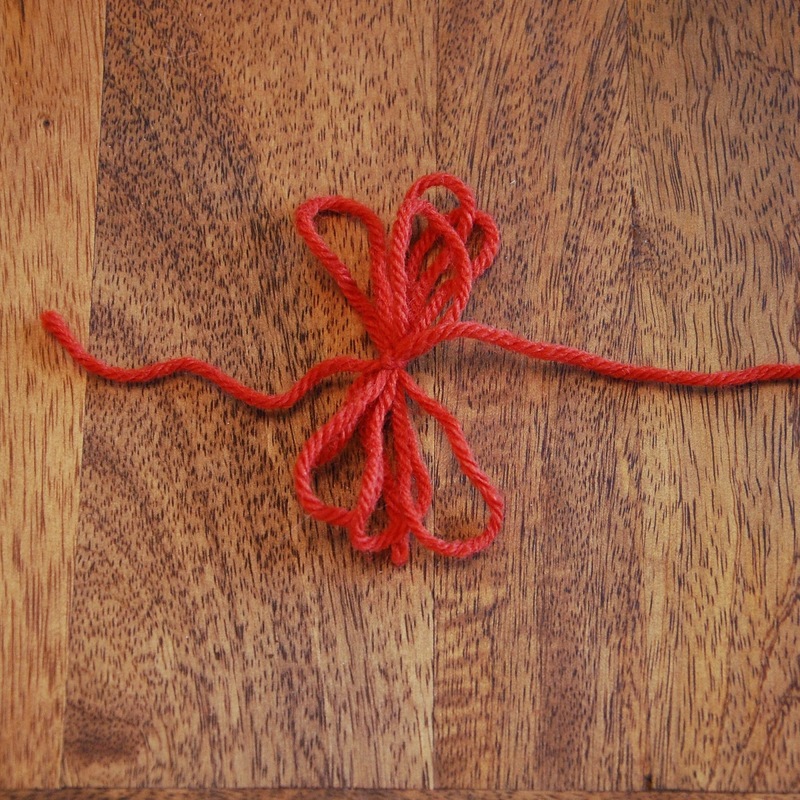 For a ponytail, cut a long length of yarn and fold it several times to make a bunch of yarn loops. Tie it with a matching piece of yarn and use the yarn tails to sew the bunch to the back of the head. With contrasting yarn or ribbon, tie a ponytail holder onto the ponytail near the base. Trim the strands to the desired length. With yarn D and E hook, ch 22. Sl st into first ch to form a ring. Rnd 4: Dc in each st.
Cut two triangles and one smaller triangle from black felt. Cut a smile shape and notch out the teeth. Glue felt to the front of the Pumpkin and allow to dry. Dress doll in Pumpkin Costume by inserting feet first and Arms through the holes in Rnd 5. With yarn B and E hook, make an adjustable ring, ch 1, sc 4 into ring. Pull tail gently to close hole. Change to yarn E at the end of Rnd 10. Rnds 11-12: Sc into each st.
Change to yarn B at the end of Rnd 12. Row 1: With yarn F, ch 16. Hdc into 3rd ch from hook and next 13 sts. Rows 6-9: Ch 2, turn, hdc into each st.
Row 10: Ch 15, sc into 2nd ch from hook and next 13 sts, sl st into next 10 sts across top of Cape, ch 15. Row 11: Sc into 2nd ch from hook and next 12 sts, sl st into last ch. With yarn F and E hook, ch 30. Sl st into 1st ch to form a ring. Rnd 1: Sc into next 10 sts, ch 5, skip 3 sts, sc into next 3, ch 5, skip 3 sts, sc into next 10 sts, sl st into last st. Rows 2-4: Ch 2, turn, hdc into each st.
Row 5: Ch 2, turn, hdc into BLO of each st. Rows 6-8: Ch 2, turn, hdc into each st.
Fasten off and leave a long tail for sewing. Thread a yarn needle with tail and use to sew up sides of Bag. 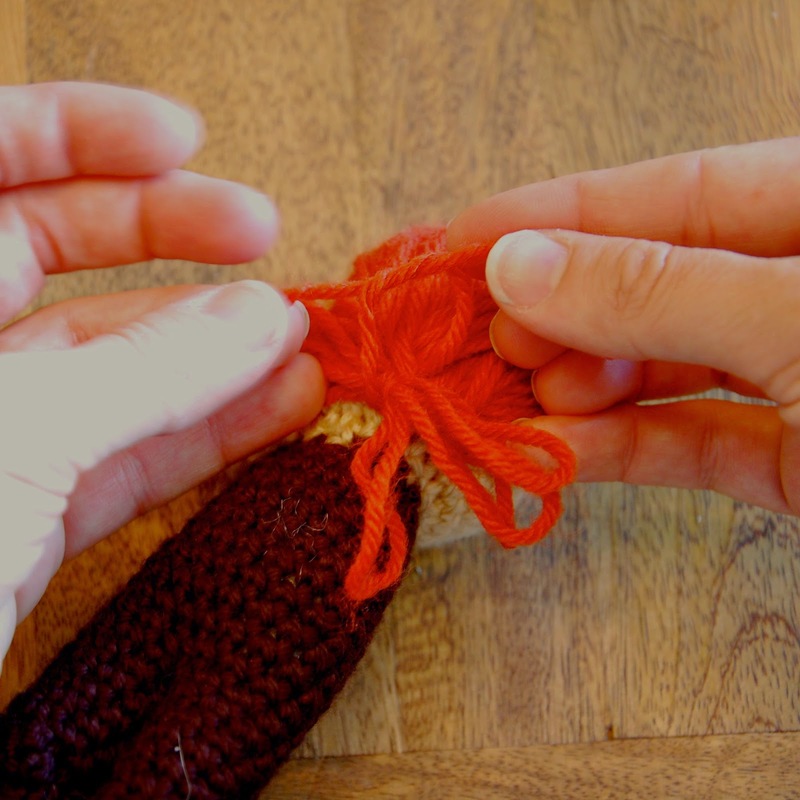 At top edge of Bag, knot the yarn tail and bring it across the top for a handle, knotting into the top edge of the other side. Continue stitching edge closed. Weave in ends. Cut a star from black felt. Glue to Treat Bag. Now look how cute your little Trick or Treater is all dressed up! 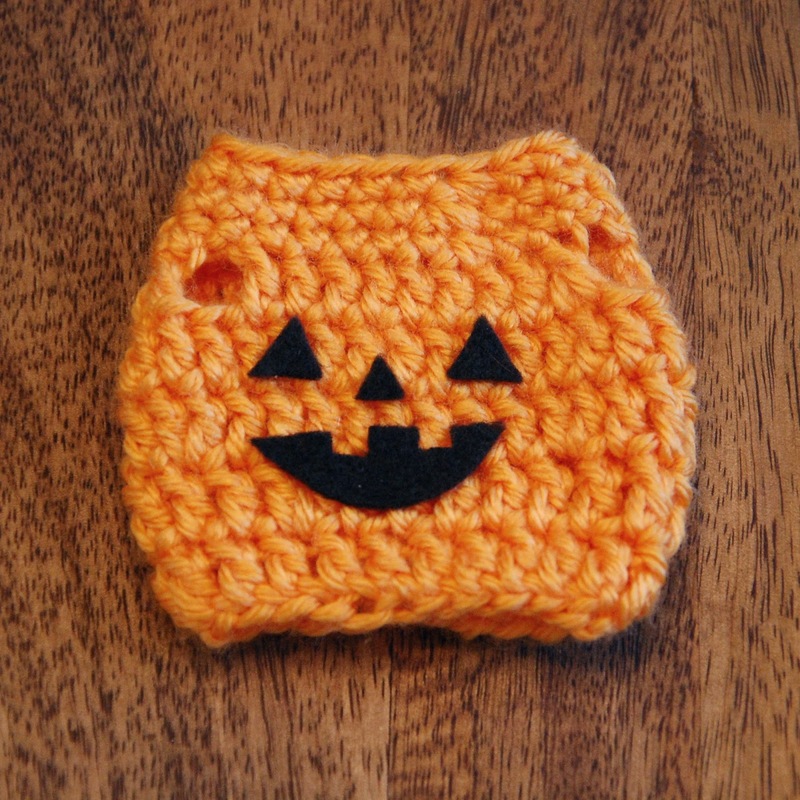 I'll be a Jack o'Lantern! Precious! I know some people that are going to love this. Thank you so much.